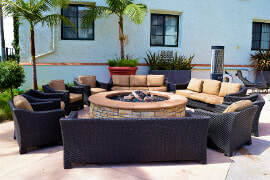 Create a stunning and inspirational outdoor living space for your residence with Concord Home Remodeling. Could your kids use more room to play? Have you always envisioned a luxurious patio with exceptional stonework or maybe even a custom fireplace? Make the most of your property by renovating the space outside your house into an oasis for relaxing, entertaining and dining. Turn your backyard into a more functional and usable space. Our design team and renovation contractors will help you transform your exterior into a luxurious extension of its interior based on your individual needs and design style. 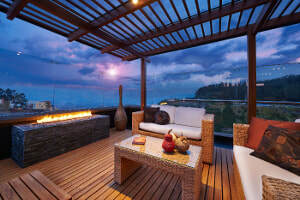 An updated outdoor living area will increase your property value for years to come. 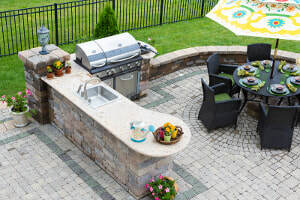 Whether you are looking to upgrade your yard or to create a new and exciting outdoor kitchen, an investment in your dwelling is investing in your future. 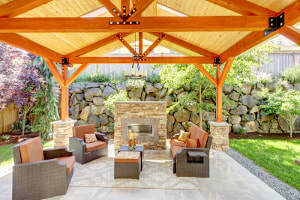 A finishing touch like a pergola, gazebo or arbor can bring a whole new warm and cozy feeling to your sanctuary. These items are smaller projects that cost less but add value and dimension to your yard. 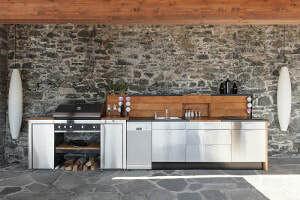 Planning on a larger project such as rebuilding your space to accomodate an open concept outdoor kitchen or dining room will bring your property to the next level. An exterior enhancement is an affordable way to get more value placed on your home. 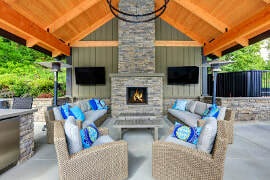 Homeowners with outdoor living spaces receive many benefits, including extra space and unique custom features that increase day-to-day enjoyment. What have you dreamed of having in your back yard? Communication Is Key To Any Project! It all starts with a free consultation about your ideas and plans for your space. Our home improvement crew is top-notch in what they do and will communicate with you throughout the entire process to develop your backyard into an oasis that will exceed your expectations. We mind every detail, from stamped concrete to climate-specific features like ceiling fans to custom outdoor lighting. You’ll enjoy step by step guidance from an experienced remodeling contractor from start to finish. 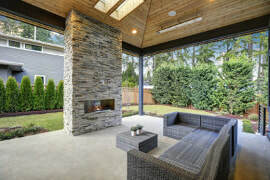 With quality workmanship and installation of various element proof building materials, you can rest assured that your exterior living space will endure any type of weather. We will bring your custom project to life with your budget in mind and with a quick on-time completion.